If you like your desert landscapes empty, The Gibson Desert fits the bill. It covers a whopping 155,000 square kilometres of terrain in the central east rangelands of Western Australia. 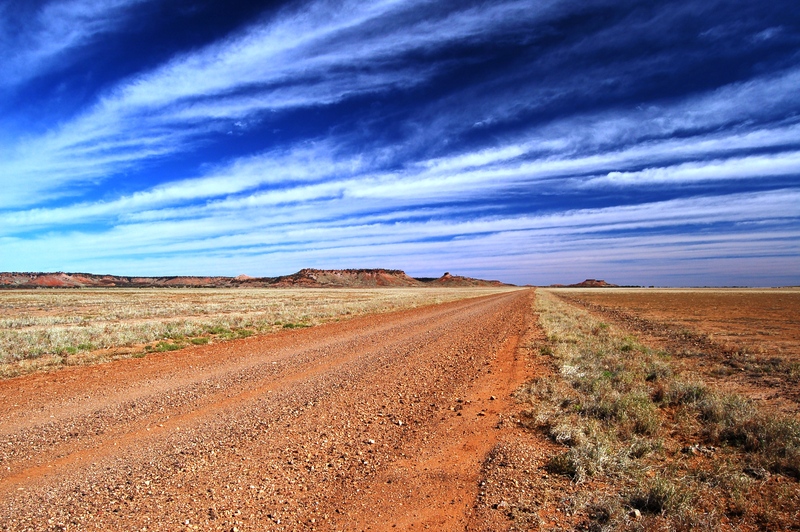 It’s the 5th largest desert in Australia and most parts of it are inaccessible by road. Its pristine landscapes are practically Martian in appearance. The Gibson is a wild place that’s home to many creatures, including red kangaroos, emus, bilbies, feral camels and Australia’s largest lizard – the perentie. This one’s easy – because there aren’t many roads out here! If you go four-wheel driving, be well prepared and have some form of emergency communication. Desert sunsets in Australia are magical – and the star-filled night skies aren’t bad either. So grab your swag, boil the billy and check it out.